The celebration of the Air Jordan 3 continues with this all-white iteration set to release on July 21st. 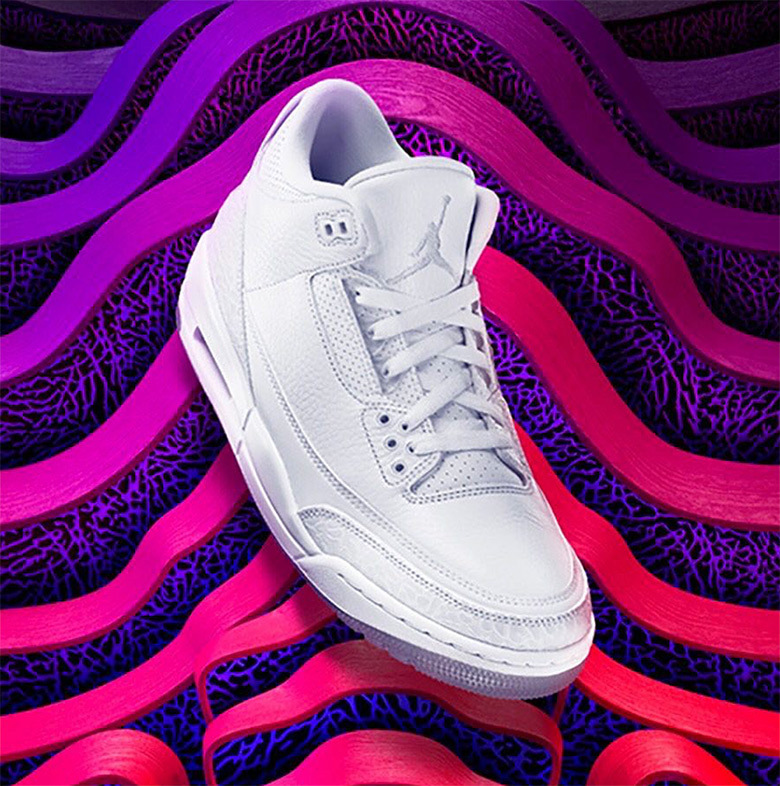 While similar to 2007’s “Pure Money”, this upcoming Jordan 3 style introduces a translucent outsole as well as translucent lace eyelets to the Summer-ready angelic look, while perforated leather panels appear on the tongue and ankle. It’s not clear whether or not the Nike Air logo will make an appearance, but since Jordan Brand has reserved that original detail for the premium tier of Air Jordan 3 styles, it’s a safer bet that a Jumpman will be the chief logo. Get a full look ahead and see what else is in store for 2018 Jordan releases. Update: The Air Jordan 3 “Pure White” drops on May 5th in China.